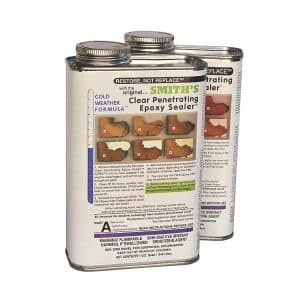 Smiths Clear Penetrating Epoxy Sealer™ (CPES™) is a thin epoxy that will penetrate deeply into the surface of wood. It is the ultimate primer for wood to make paint or varnish stick. CPES restores strength to rotten wood and waterproofs all wood. Fill-It Flexible Wood Filler is the perfect partner to Smiths CPES for restoring wood. It is the Epoxy Wood Filler that lasts offering a permanent and watertight solution. It will flex with wood and is so waterproof it can be used below the waterline. 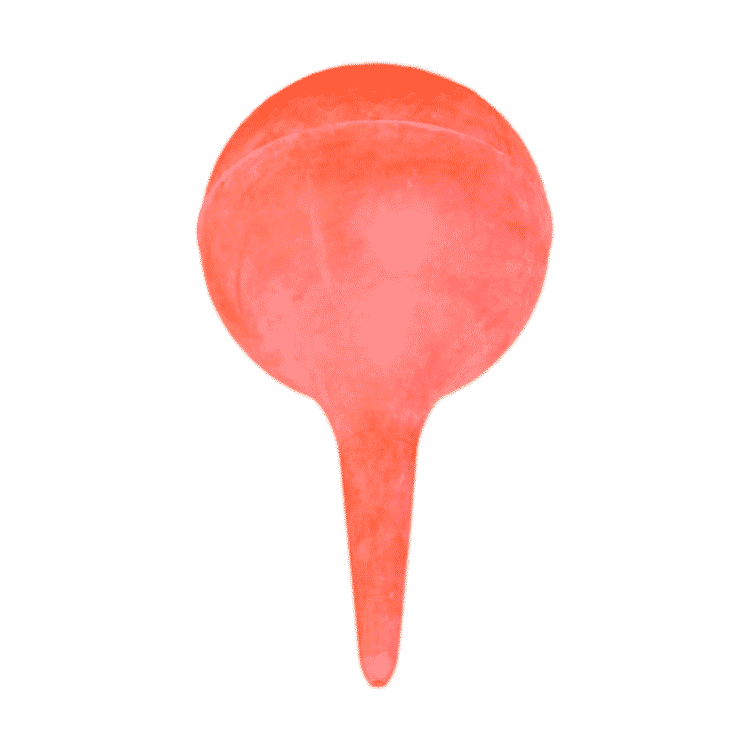 This will clearly depend upon the extent of the Osmosis Rot that is affecting your fibreglass hull. The example pictured above is particularly nasty. 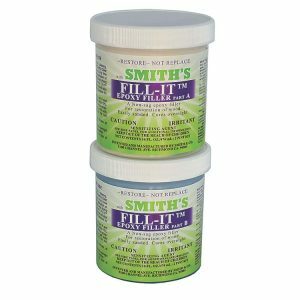 Budget 2 Gallons of CPES and 1 Gallon of Fill-It for every 10 square metres of hull with osmosis rot. Badly rotted hulls may use twice this amount. The least rotted hulls will use far less than this amount. Send us photos to assist in estimation if you would like assistance estimating coverage. Please include a ruler against the photos to assist in estimation. Feel free to purchase these products on a sale or return basis. 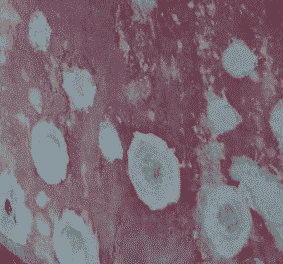 It is important to have enough product at the start of the Osmosis rot repair. Return unused product to us for resale if you have any leftover. We supply black pigment free of charge to aid mixing with all Osmosis rot repair kits. 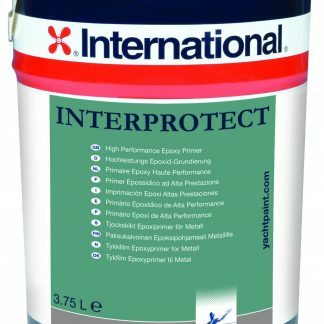 International Interprotect covers at up to 8 square metres / litre for a single coat. 5L of White and 5L of Grey International Interprotect treats around 40 square metres of hull. This also offers the contrasting colours between coats. Contrasting colours aid even coverage of the Interprotect. 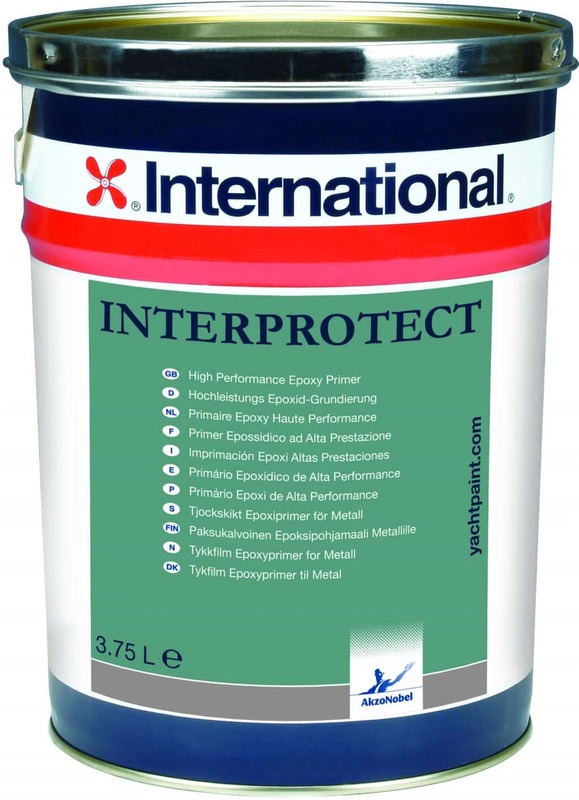 Please note that we do not stock International Interprotect but buy it to order. Orders are fulfilled as soon as supply arrives from our distributors. Normally this is within 3 or 4 days. Interprotect is an optional part of our osmosis rot repair kit, and you may source it locally if required.